TORONTO (Kepler Communications PR) — Kepler has contracted leading UK small satellite manufacturer, ÅAC Clyde, for a 6U satellite bus in support of the machine-to-machine communications mission. This new platform, TARS, will be the third built by the company for Kepler’s growing constellation, offering satellite communication services for Internet of Things (IoT) and data backhaul applications. The mission is part of the UK’s Satellite Applications Catapult In-Orbit Demonstration Mission 5. 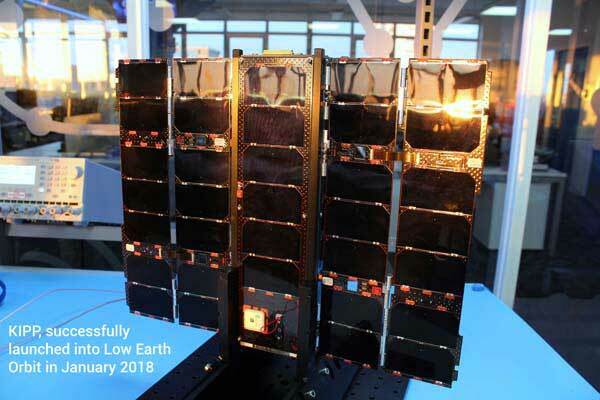 Following on from the success of our first mission (KIPP), TARS will be an upgraded and cutting-edge nanosatellite that will demonstrate our next generation payload on orbit. TARS will determine the capacity and performance required to deliver narrowband services globally, while augmenting the high-capacity store-and-forward capabilities provided by our first and second satellites, KIPP and CASE. This combined with a Clyde’s next generation 6U platform will make TARS a mission with capability never before thought possible from such a small LEO spacecraft. We have developed a great relationship with Clyde through the developments of KIPP and CASE, and are glad to be able to continue to work together on what is to be the most technologically complex and capable spacecraft for us thus far. Our engineering teams are nicely synced together we should be able to really push the boundaries with this next spacecraft. There have been a number of lessons learned by KIPP/CASE by both teams, and we are all eager to produce a satellite that is truly the sum of all the achievements and learnings we have experienced. TARS will expand on this success of KIPP and CASE by carrying a full suite of upgraded communications and processing systems developed here at Kepler. To support this, ÅAC Clyde will provide an advanced and expanded platform that exemplifies the progress and capability of their small satellite platforms. It is very exciting to be constantly expanding our technical prowess here at Kepler bringing more complex systems under our wings. For example Kepler will be developing and providing both the primary and the supplementary Telemetry, Tracking, and Command (TT&C) communications units for TARS. The ÅAC Clyde team and their technologies both are perfectly suited to support the pursuits of development and innovation at Kepler, as they themselves constantly seek to step their offering up to the next level. With TARS we seek to demonstrate worldwide connectivity from a globally available satellite solution. This mission will demonstrate cross-border IoT connectivity similar to that of our current mobile connections in terms of high data-volumes and bi-directional links at a low-cost. This need for seamless global IoT connectivity (supporting railcar monitoring, marine research, anti-poaching, and many more) is currently not met due to global variations in frequency bands, network technology, and connectivity in rural and remote areas. TARS will be a first combined solution to fill the market gap. TARS is the final service demonstration platform prior to our forthcoming GEN1 constellation which will incorporate 10 more satellites, set to roll-out in early 2020. The first block of 10 GEN1 spacecraft will be the start to the full constellation culminating in 140 satellites spanning GEN1-3. Coming up next, we are anxiously awaiting the launch of our second satellite, CASE. KIPP’s sister 3U nanosatellite which will add to the store-and-forward capabilities of our network with a handful of helpful upgrades.